Ostensibly, universal voting is the ideal of a free and democratic republic; however, barriers have been placed between many citizens and the ballot box ever since the creation of the United States. Many of these obstacles, such as property ownership and the racially-biased poll tax, have been removed. They are, however, being replaced by voter identification (ID) laws and other voter suppression schemes designed to discourage and prevent many, otherwise eligible voters from participating in elections. Voter suppression takes many forms and—in its aggregate—could allow the election of a president in the November 2016 election who is not the choice of the American People. Approximately one quarter of all qualified voters are not registered, and many state laws and administrative practices are aimed at blocking—rather than encouraging—their enrollment. These include the imposition of arbitrarily short deadlines for the submission of voter registration forms; imposing harsh penalties for administrative errors; and even requiring the forms to be printed on very specific weights of paper. On the other hand, some states such as California, automatically register all eligible voters when they apply for driver’s licenses, and a number of states now allow online registration. Other devices to suppress voting involve the unnecessary purging of registration rolls to remove qualified people; the deliberate misallocation of election resources resulting in long lines in low-income and college precincts; misleading voters regarding procedures and locations for voting; and “caging,” which involves sending certified letters to voters and striking registrations for those whose letters are returned as undeliverable. Scandalous as these plots may be, they verge on criminal conspiracies when they are directed by politically partisan secretaries of state and other officials who have the responsibility to ensure elections are fair and unbiased. Although some suppression dirty tricks are bipartisan—four Kerry supporters were convicted of vandalism for slashing the tires of vans intended to transport Republican voters to the polls in 2004—it is primarily Republicans and other conservatives who engage in voter suppression. Many of these individuals and groups consider voting to be a privilege, instead of a right, and they are untroubled by efforts to reduce the voting participation by certain groups, such as racial minorities, students, and the poor, who traditionally vote for Democratic candidates. The most successful electoral subversion results from voter ID laws passed in many states in the past 15 years. These laws have been enacted—purportedly— to prevent voter fraud, in which an ineligible voter impersonates an eligible voter. Typically, these laws require the presentation of photographic identification, such as a driver’s license or passport in order to vote. In truth, these laws are a blatant stratagem to prevent the political opposition from voting. As the less popular party, many Republicans unabashedly admit the purpose and consequence of these laws. One Republican legislator in Michigan warned, “If we do not suppress the Detroit vote, we’re going to have a tough time in this election;” Another legislator believed the Pennsylvania voter ID law would “allow Governor Romney to win the state,” while another bragged that the Pennsylvania laws “cut Obama by five percent” and that “voter ID helped a bit in that.” The former head of the Florida Republican Party acknowledged that “We’ve got to cut down on early voting because early voting is not good for us.” Presidential candidate Governor John Kasich agreed: “I guess I really actually feel we shouldn’t contort the voting process to accommodate the urban—read African-American—voter-turnout machine.” Prior to dropping out of the presidential race, Governor Chris Christie said that Republicans need to win gubernatorial races so they can control the “voting mechanism” in the presidential election. The reality is that voter fraud is very rare, and when it does occur, it would not be prevented by voter ID laws. An in-depth study by the Walter Cronkite School of Journalism and Mass Communication at Arizona State University involved travel to 40 cities, 21 states, interviews of more than 1,000 people, and reviews of nearly 5,000 public documents. The effort identified only 10 cases of voter impersonation in more than a decade. There were more cases of absentee ballot fraud and registration fraud, which would not have been prevented by the voter ID laws. The conservative political bias of suppression laws is indicated by the fact that more than half of all state photo ID legislation resulted from the efforts of the conservative, corporate-sponsored, American Legislative Exchange Council (ALEC). Sixty-two bills based on the model ALEC Voter ID Act have been introduced in state legislatures. Of the 22 states in which new voting restrictions have been passed, 18 have Republican-controlled legislatures. The underlying racial basis of these laws was revealed by the Brennan Center for Justice which determined that of the 11 states with the highest numbers of African American voters in 2008, seven have since passed voter suppression laws. Of the 12 states with rapidly growing Hispanic populations, nine have enacted new restrictions. Finally, nine of the states formerly supervised by the Voting Rights Acts because of past racial discrimination have passed new voter suppression laws. The only way to assure the voting power of the American People and to ensure the United States continues as a representative democracy is to amend the constitution to include a Voters’ Bill of Rights. The United States Voters’ Rights Amendment (USVRA) not only specifically guarantees a right to cast effective votes in all elections, but it also includes specific provisions regarding voter participation and suppression. Any lingering doubt about the necessity of a constitutional amendment was quashed by another opinion of the Supreme Court rendered immediately prior to the 2014 midterm elections. The decision reversed a Federal District Court in Texas, which had ruled that the state’s voter ID law unconstitutionally prevented more than 600,000 registered Texans from voting. The lower court had found the law was adopted “with an unconstitutional discriminatory purpose” and that it placed “an unconstitutional burden on the right to vote.” The conservative majority of the Supreme Court disagreed—directly cutting off the access of more than a half million Texans to the polls and challenging the votes of millions of other Americans subject to similar laws in other states. Previously, the Texas voter ID law had been blocked by the Voting Rights Act, which required jurisdictions with a history of racial discrimination to obtain permission before changing voting procedures. That provision of the Act was earlier struck down by the Supreme Court in 2013, and Texas officials announced they would begin enforcing the state’s new voter ID law. Whether affected by strict photo ID rules or other forms of voter suppression, the turnout for the 2014 midterm elections was the lowest since 1942. The effect was shown by the difference between Texas—with the most restrictive rules and a 33.6 percent turnout—and Colorado, Washington and Oregon, which permit everyone to vote by mail, and their participation rates of 53, 54, and 69 percent, respectively. 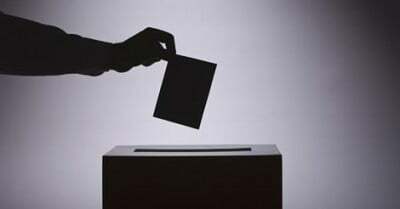 The States shall ensure that all citizens who are eligible to vote are registered to vote. In balancing the public benefit of maximum voter participation with the prevention of voting fraud, Congress and the States shall not impose any unjustifiable restriction on registration or voting by citizens. The intentional suppression of voting is hereby prohibited and, in addition to any other penalty imposed by law, any person convicted of the intentional suppression of voting shall be ineligible for any public office for a period of five years following such conviction. The scandal of voter suppression corrupts the core of representative democracy, and the quality and effectiveness of political representation is directly related to the percentage of voter participation. Unless representatives are selected by the greatest number and broadest range of voters possible, the processes of government will not reflect the true will of the People. Indeed, if the current trend continues, the United States government will become an irrevocable plutocracy instead of a democracy; government of, by, and for the People will cease to exist; and the flame of freedom—no longer fueled by effective voting—will be extinguished. William John Cox is a retired public interest lawyer. His new book, “Transforming America: A Voters’ Bill of Rights” presents the United States Voters’ Rights Amendment. He can be reached through his website, http://www.williamjohncox.com.